Hey everyone! 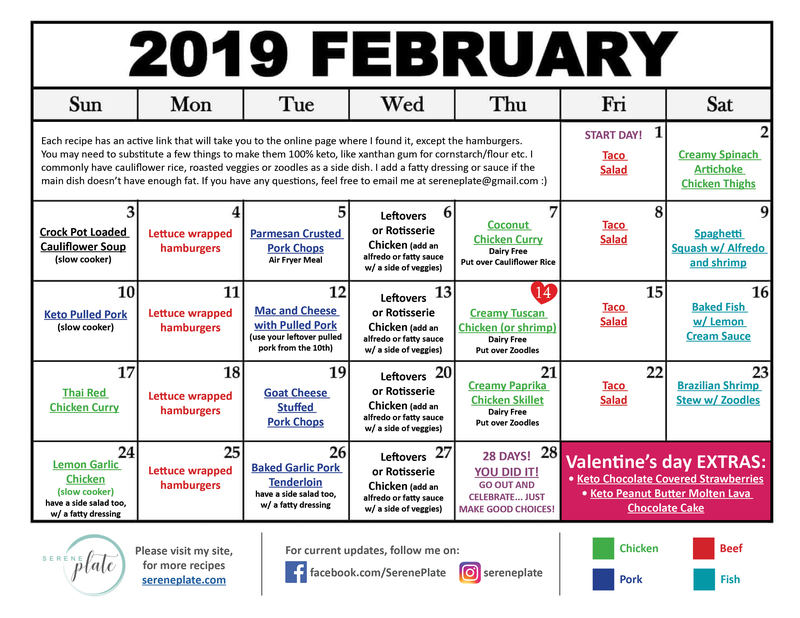 This meal plan is hitting my blog a little later than I’d like but I have a very germ-filled 6yo who likes to bring colds home and the one she recently gave me, put me DOWN! Better late than never though, right!! 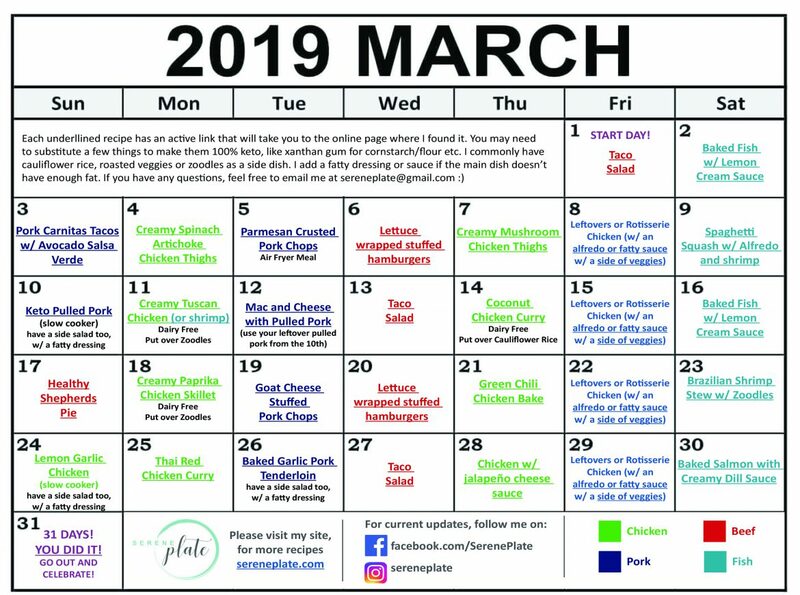 So here is your March Keto Meal Plan! This calendar will set you up to have leftovers, one pot dinners for easy clean up, some slow cooker Sundays and even a little ethnic flare. Also, don’t forget that St Patricks day is on the 17th! I included a super yummy Healthy Shepherds Pie that I really hope you’ll enjoy! Sharing is caring, so here is my March Keto Meal Plan! 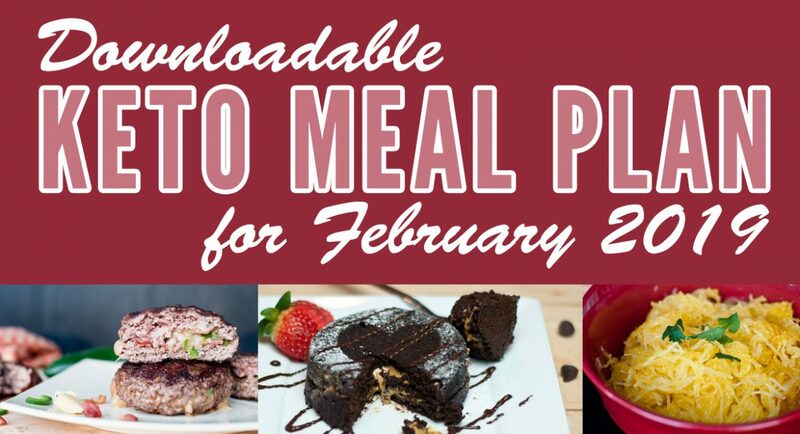 30 day Keto meal plan calendar download! 30 day keto meal plan! If you need an easy to follow, 30 day KETO meal plan, look no further! 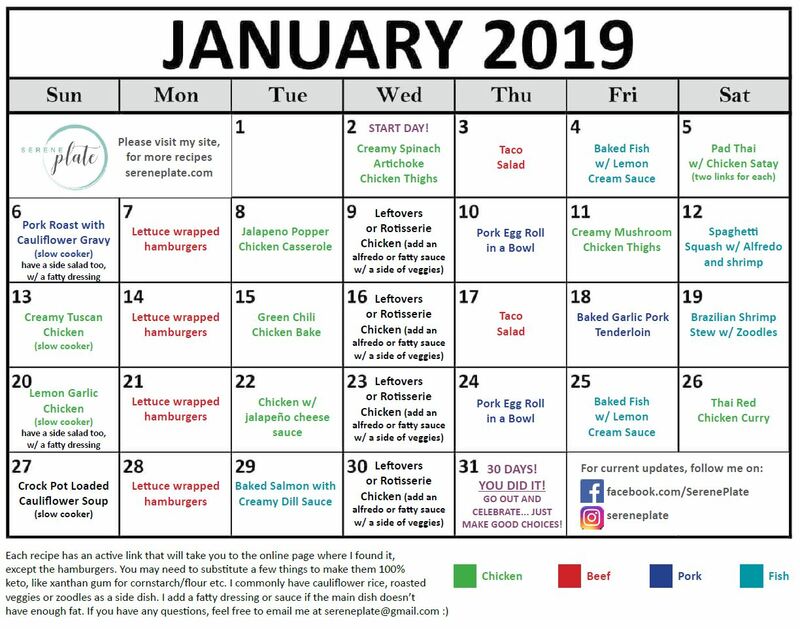 This calendar will set you up to have leftovers, yummy burgers on Monday’s, one pot dinners, easy slow cooker Sundays and even some ethnic flare. Ok guys. I’ve learned a major thing about myself over the last year. I HAVE to meal plan for the entire month to stay on track. I know that sounds like a big job, and it is… it takes time…but it’s soooooo worth it for me! On my 30 day keto meal plan, I try to make sure I vary my proteins so I don’t have chicken back to back. I try to do a bigger recipe on Saturday’s because I have time and I do slow cooker meals on Sundays. This sets me up for the week and it’s an EASY way to make Sunday less stressful. I also double recipes from time to time so I have left overs for our lunches. So I figured I would share it with you too! Sharing is caring after all! I remember being very stuck in the beggining, looking at pinterest to much to find recipes and they all seemed to blend together after a while. I felt like we were eating the same thing over and over. So here are my faves. The meals that we have grown to love! I hope this is useful to you too, enjoy!! Click my 30day keto calendar to download this interactive PDF (image below). Each day’s recipe has a link to the blog in which I found it. Tart, spicy salsa verde is so easy to make and can be done in so many different ways! It’s a fiery compliment to any Mexican dinner you may be creating! 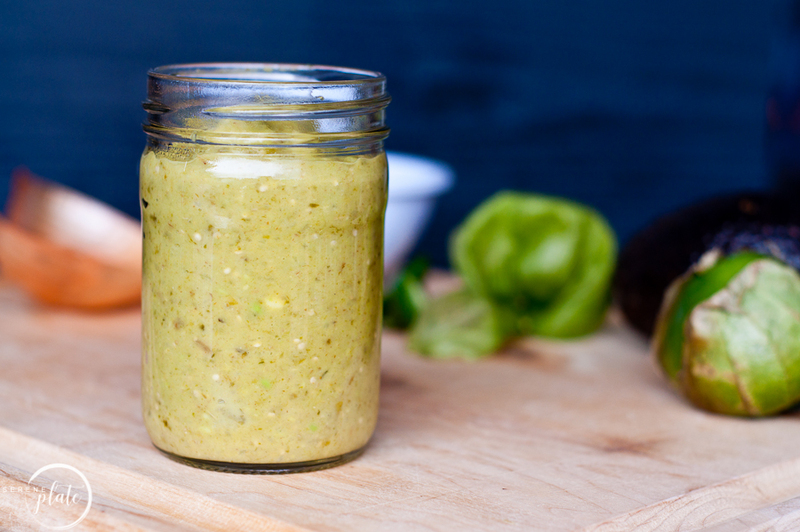 So keep reading to see how to make salsa verde! Spicy food was not my thing until I was in my early 30’s. I was the kid who ordered cheeseburgers at Mexican restaurants, because to me, Mexican food was to ‘spicy’ (just a heads up, Mexican food restaurants make bomb burgers, just sayin). Then along came my daughter. Many things can change during and after pregnancy but I did NOT expect one of them to be my taste buds. Now, I seriously cannot get enough Mexican food. It’s like I am trying to make up for lost time! 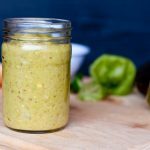 I still don’t like chunky salsa but I am a new lover of certain types, so here is how to make salsa verde my way. What ingredients are in salsa verde? Typically, you would put tomatillos, green chilies, such as serrano’s or jalapenos – depending on how spicy you want it, fresh cilantro, onions and salt. I also add in an avocado because I like a nice creamy verde!! In my recipe I use about 5 or 6 tomatillos and I roast them in the oven first, which is very important and gives them a great depth of flavor, 2 or 3 jalapenos, half an onion, garlic, cumin, 1 large avocado, lime juice, salt and pepper. Cilantro doesn’t get put in my salsa verde because I really don’t like it. Cilantro is a “you do or your don’t” kind of food and I most certainly do not like it. I am one of those crazy people who thinks it tastes like soap. So no cilantro for me. What is the meaning of the word Verde? When used with the verb ser, verde literally means green in color. 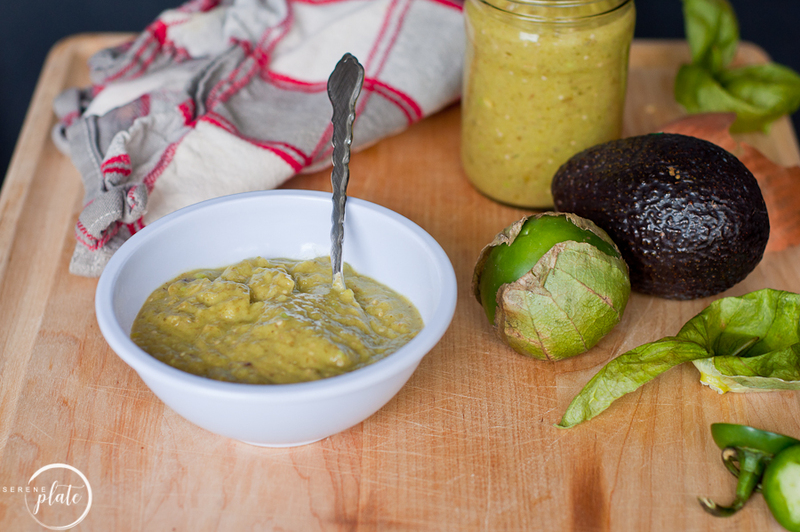 When I add in an avocado the salsa verde gets a little hit of yellow too. Is salsa verde and tomatillo salsa the same thing? To me, the main difference in the jarred salsa you buy at the store and salsa verde is; the store bought stuff is more chunky. This is why I never liked traditional salsa. Even now, at Mexican food restaurants, I still dip my chips just in the liquid of the salsa. I love the flavor, but not the texture. The first time I had salsa verde I feel in love because it is often a thinner. More like a blended version of salsa and that I enjoy. I knew I needed to learn how to make salsa verde! 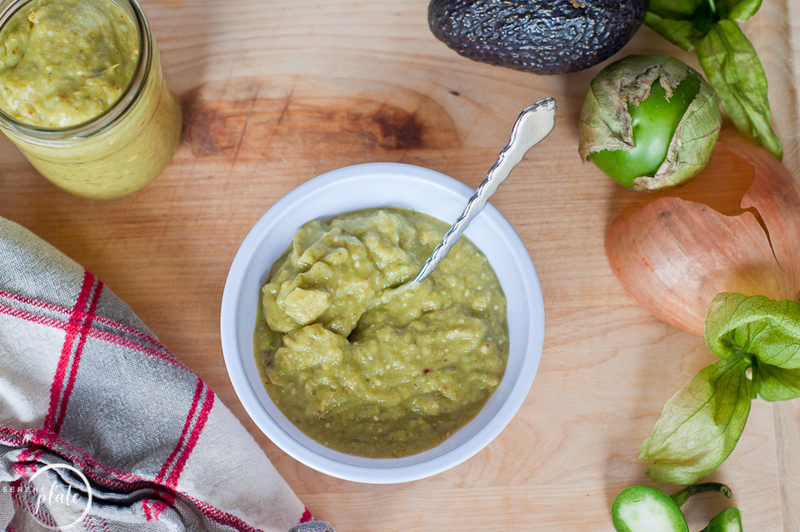 In Mexican cuisine, salsa verde is commonly based with tomatillos as the main ingredient. Tomatillos are similar to a tomato but are really more closely related to a gooseberry. A Tomatillo has a mild tartness and that pairs very well with the other fiery flavors added to a salsa verde. Since tomatillos are more tart, they add a little bite to salsa verde but they themselves are not spicy. They can even be eaten raw. Tomatillos can be chopped and added to salads. But how I make salsa verde is to oven roast them and blend them up. Is a tomatillo the same as a green tomato? They are both members of the nightshade family but green tomatoes are hard and unripe. Tomatillos are actually fruit from a different plant and they are covered in a thin paper like husk. When the husk is removed they are even a little sticky. Because of this, I often wash my tomatillos before cooking with them. Are tomatillos good for you? Tomatillos are a great source of dietary fiber, niacin, potassium and manganese. They contain about 20% of the daily vitamin C that is recommended. They also carry 13% of vitamin K and a good amount of iron, magnesium, phosphorus and copper. That’s my little 5 year old’s hand. She loves to help mom and was so excited to be on my blog! How long can you keep homemade salsa in the fridge? Opened: Store bought salsa can last about 1 to 2 weeks in the fridge. Opened: Homemade salsa will only last about 5 to 7 days since it doesn’t have all those nasty preservatives in it like the store bought stuff does. You most certainly can! Once in/out of the freezer, the salsa may not look as fresh as it did when it was first made, but it is definitely a great candidate for freezing. There is normally a little watery liquid after it is thawed. You can just drain it a bit if you’re wanting to dip chips in it, but if you’re using it for a soup or stew, poor that whole thing in there! The liquid will only enhance the flavor. My parents grow a nice size garden ever year and when the season is wrapping up they take the abundance of tomatoes, peppers, onions and herbs to make super yummy salsa that way we can enjoy it year round! I hope you like this version! My recipe isn’t the traditional or typical way on “how to make salsa verde” but like I’ve said before, I do things differently in the kitchen. Trying things until I like them and once they satisfy me is how I roll. When I can call it a win, I write the recipe down! 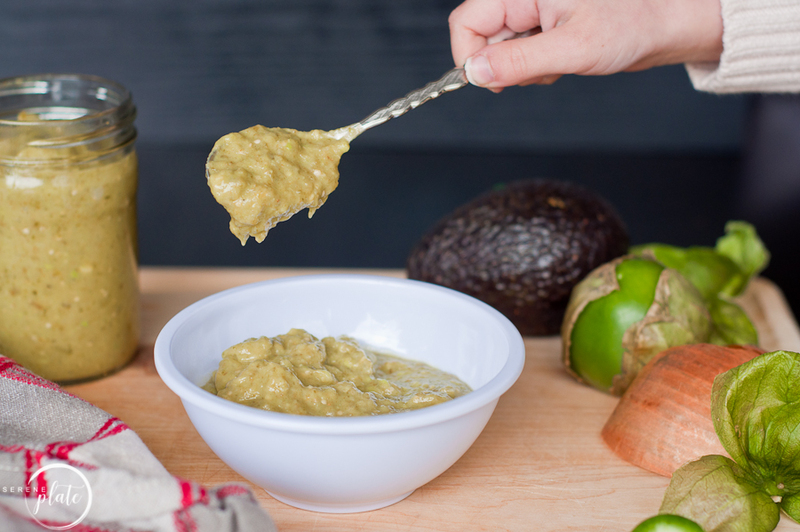 Having and tomatillo, avocado salsa verde on hand is great because you never know when friends are going to stop by looking for a snack. I personally love cooking for my friends and family and having them try out my new concoctions is a fun challenge. Some win, some loose. This verde is a winner though so I will definitely keep it around! Place your whole tomatillos, cut jalapenos (seeds removed if you're wanting less heat) and onion. I cut my onion in two quarters. Drizzle with avocado oil and roast for 15 minutes. Do not skip this step. Roasting these veggies gives them a depth of flavor that is important to the taste of the recipe. Remove and transfer to a blender or food processor. 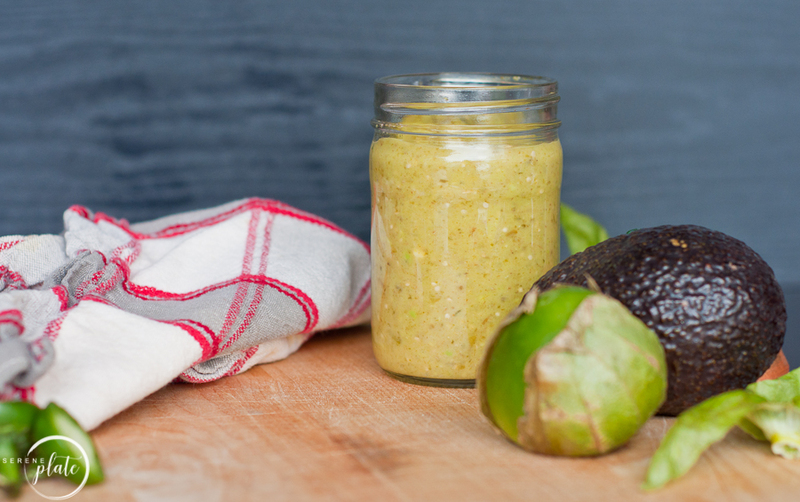 Add your avocado, spices and lime juice. Pulse until the constancy is mostly smooth. If you need to work in batches, that is ok.
Pour into a bowl and serve with chips or add to your favorite taco! This Keto Alfredo Sauce has the rich flavors of butter, cream, garlic, and cheese. When you’re making keto alfredo sauce it’s hard to believe it can be healthy and GOOD for you!! After a lot of trial and error, I have come up with a pretty full-proof, easy recipe, that you’re sure to love as much as I do! I’ve found you have to do a lot of experimenting when you are trying to stay low-carb but keep all the flavor! If there is one place my husband and I can not share a meal, it’s when we go out for Italian. He is a red sauce guy through and through and I am 100% all about the creamy white sauces! Together, Brandon and I have mastered this keto alfredo sauce though and it’s become one of his favorites too. Maybe that’s why I think its the best Alfredo sauce ever!! My evil plan to bring my husband over to the Alfredo side is working! Haha! I hope you enjoy it as much as we do. Taste your sauce and add a dash of salt and pepper if needed. 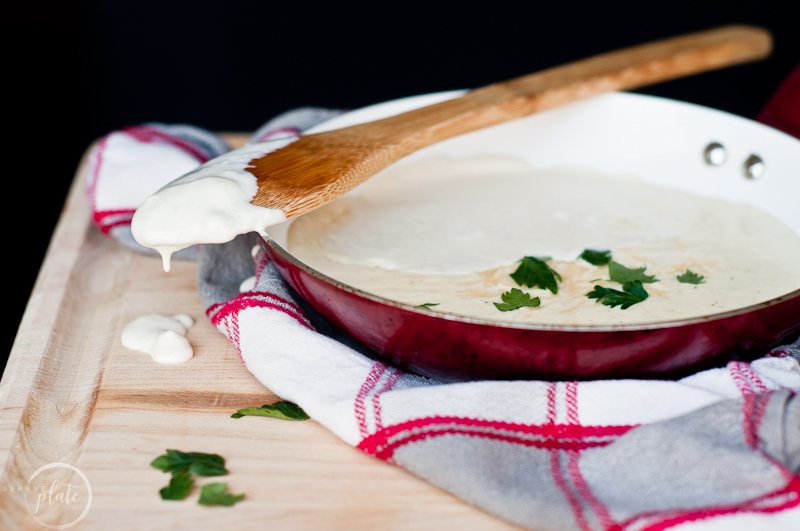 Making the best Alfredo sauce is easy! First I melt the butter and saute the garlic until the garlic is fragrant. I pour in 1 1/2 cups heavy whipping cream and bring that to a simmer. I sprinkle in 1.5 cups of freshly grated Parmesan and whisk until melted. Then, cut 3oz of cream cheese into chunks and add it to the sauce, stir until smooth. Taste the sauce at this point, it may need a little seasoning of nutmeg, salt and/or pepper. If I need the sauce to be thicker, I add more cream cheese. If it needs to be thinner, I add more heavy whipping cream or 2% milk. Here’s another twist that I often add to my Alfredo. Once the sauce is all creamy, gooey and bubbly, I add in a nice big handful of spinach. I am not a huge fan of wilted spinach but added to this sauce, it’s so good! How do you make Alfredo sauce without heavy cream? 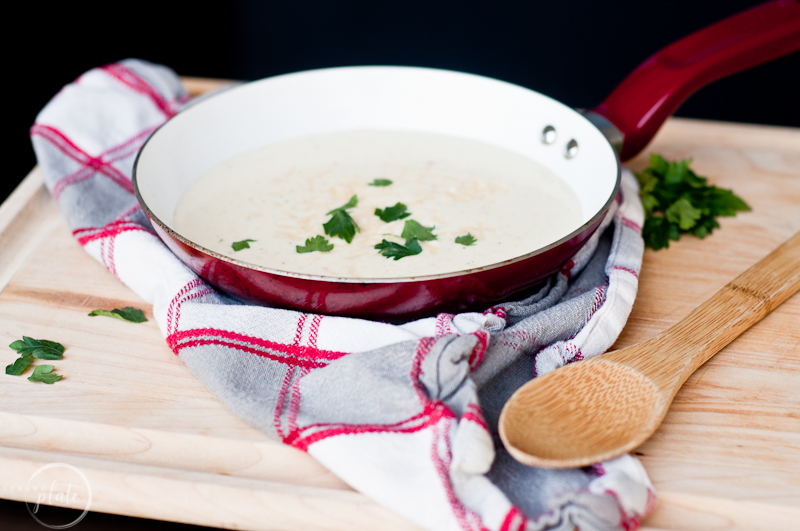 Melt 4 tbsp butter over medium high heat in a heavy bottomed medium sized saucepan. Slowly pour 2 cups of milk and whisk until combined. 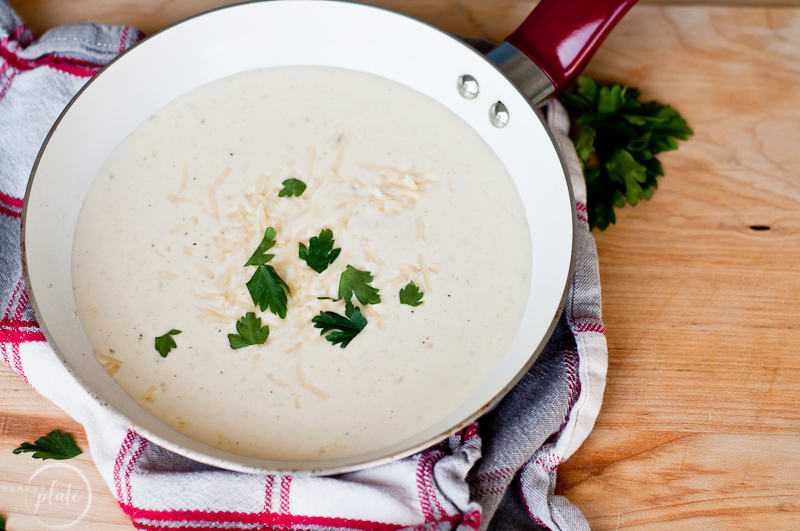 Add ½ to ¾ cup of Parmesan cheese, continue to whisk until cheese melts and the consistency of the Alfredo becomes smooth. Can you use milk instead of cream to make Alfredo sauce? You most certainly can. Your Keto Alfredo Sauce will be thinner if you do, but you can make a slurry with flour or cornstarch to thicken your sauce. To do this, take a small bowl or jar and add 1 tbsp flour (or cornstarch) and 1 tbsp water. Mix well until all clumps are gone. Add this slurry slowly to your sauce as you whisk consistently over low heat. Give it a few minutes to thicken. If needed, you can do this one or two more times until you get the consistency you like. How do you thicken your Keto Alfredo sauce? Since I do not use flour or cornstarch with my low carb eating plan, I add cream cheese to my sauce to thicken it. I start off with 3 oz and if that isn’t enough I slowly add more as needed. Plus I add more cheese, because mmmm cheese! Is fettuccine Alfredo really Italian? According to historical events, the story goes that in 1914, a man named Alfredo di Lelio was trying to cook something that would please his wife who was pregnant. He created this sauce made from Parmesan cheese and butter and poured it over some fettuccine noodles. Di Lelio opened up a restaurant in Italy and served his fettuccine dish after it was so hugely popular with his family. What can I add to jarred Alfredo sauce? Ok, if you do not have time to make the best Alfredo sauce ever and you want to do something even easier, give this a try. Now in my opinion… if you are going to go to all that trouble to “doctor up” a bought version of Alfredo (that is probably packed full of chemicals, to begin with) you might as well just make the best Alfredo sauce that I have below. Think of how proud you’ll be when you serve it and can say “I know every ingredient in this because it’s made from scratch!” I believe in you, you can do it, trust me!! All in all, I make this Keto Alfredo Sauce at least once a week for my husband and I. My secret weapon really is the cream cheese. It almost has a superpower in making the sauce richer and thicker all at once. 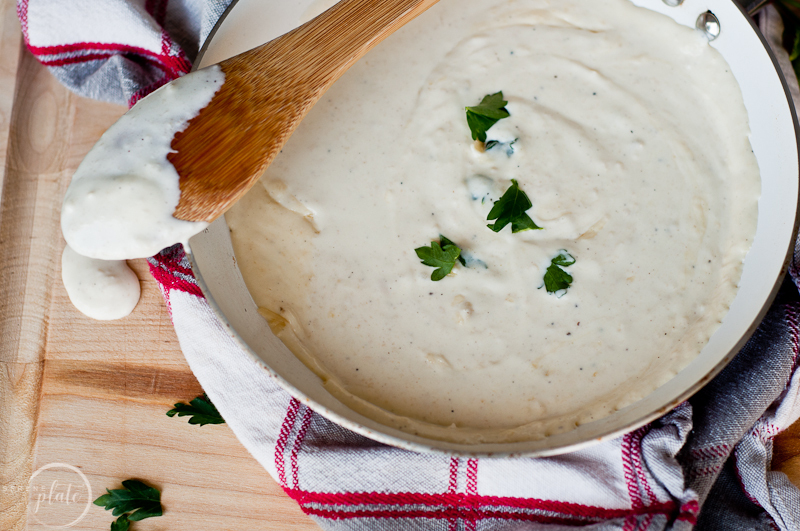 We pore our Keto Alfredo Sauce over spaghetti squash, veggies and even use it as a dip. If you like cheesy goodness, your family is sure to love it. 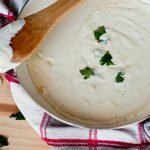 This creamy Keto Alfredo Sauce can pair well with baked spaghetti squash for an easy, low carb, meal. Add the heavy whipping cream, and bring to a simmer. Slowly sprinkle in the Parmesan cheese, whisk until melted. Cut the cream cheese into chunks and add to the pot. Whisk until melted and smooth. If it needs to be thicker, add more cream cheese. If it needs to be thinner, add more heavy whipping cream or 2% milk. Taste your sauce, if it needs it, add salt and pepper.